What’s the scoop: It’s getting close to the end of the season, so Barry is a little on edge. 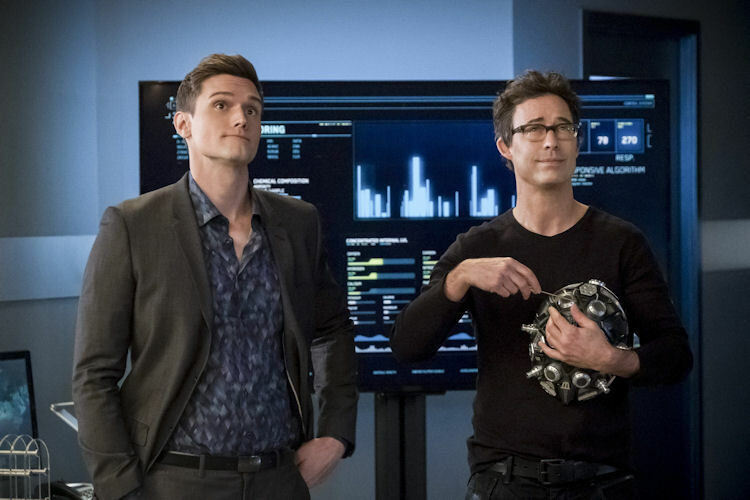 Team Flash is still in a race with DeVoe to find those last two bus metas. With the help of Harry and his thinking cap, the good guys are able to locate Null, who has density manipulation abilities and a penchant for fancy jewelry. Barry learns (and is promptly annoyed by) there’s a tradeoff for getting Ralph out of coward mode, which is Ralph’s default setting — goofball prankster. Meanwhile in B-plot Land: It’s like the writer’s room couldn’t decide on one side plot, so they decided to try them all. 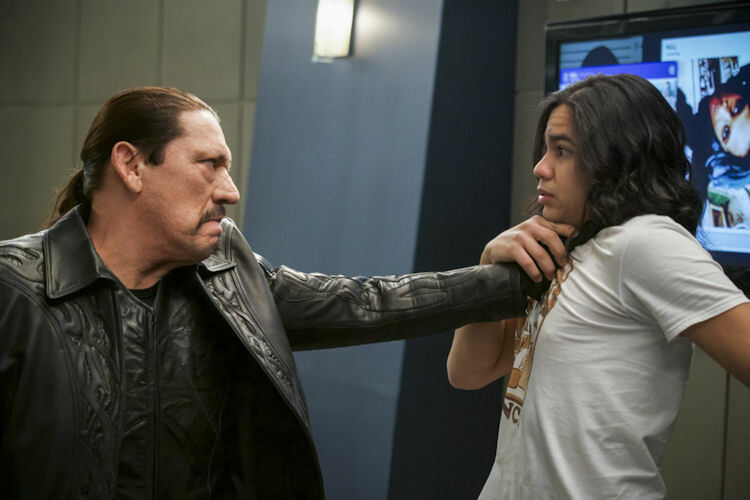 Gypsy’s dad, Breacher (played by Danny Trejo) shows up at STAR Labs with, ahem, performance issues. You see, he was fighting vampires and was having problems blasting them. He holds access to Gypsy hostage in exchange for help. Caitlin determines he’s just getting old, and doesn’t have the energy to do the job any more. Of course, that’s not good enough for Cisco so we go through a litany of slapstick-y scenarios of Cisco trying to fake a cure, with Caitlin in the background rolling her eyes and telling Cisco to just tell the guy the truth. Over in DeVoe’s pocket dimension, he and the mechanic are in a loop where DeVoe scrambles his wife’s brains; he drugs her with a psychedelic to keep her docile, and has her working on a solution to extend his life. She eventually finds out what is going on, records a message to herself; DeVoe finds out, and then it’s wash, rinse, repeat. 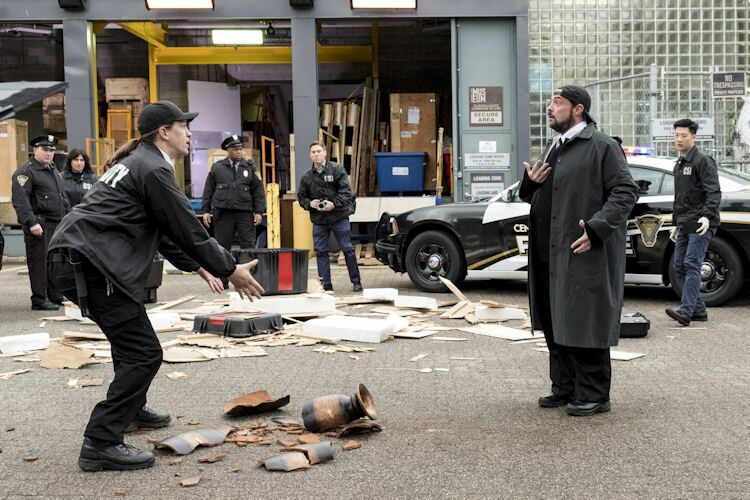 In case you haven’t figured it out by now, The Mechanic is going to be DeVoe’s ultimate undoing, Grant Gustin might as well take the rest of the season off. Finally, Harry is having trouble with his helmet because he can’t process the variables fast enough. Luckily for him, there’s a supercomputing artificial intelligence named Gideon in a closet at STAR Labs that he can hook the helmet to. What about the action: Null has a remarkable hold on her powers compared to the other bus metas, and she outfoxes Barry at every turn, seemingly no thanks to any assistance Ralph provides. The most clever maneuver involves Null’s “getaway car,” an SUV she zapped before robbing a museum that was sent plummeting to earth (with driver behind the wheel). This allows her to walk away with Barry, having made a rescue. Barry finally joins the rest of the world in determining that Ralph is a bit of a tool. Iris, who was the one annoyed by Ralph just an episode ago, is now Ralph’s champion. She says that his methods might be unorthodox and vexing but at the end, he always manages to save the day. Iris also makes it clear to Barry that he’s more mad that Ralph refuses to follow Barry’s plan. So in the climatic mission, it’s up to Ralph to stop Null and save Barry, which Ralph does with the power of bad puns and fart jokes. What’s next: The race is on for the last bus meta, but don’t expect it to be too fast; there are still three or four episodes left in the season. And will Cisco join the Breachers to be with his lady love? Last impressions: This episode felt like a waste of Kevin Smith’s talents, which is saying something, considering he directed a body horror movie about turning someone into a walrus. I thought we were past all of this nonsense about Ralph. 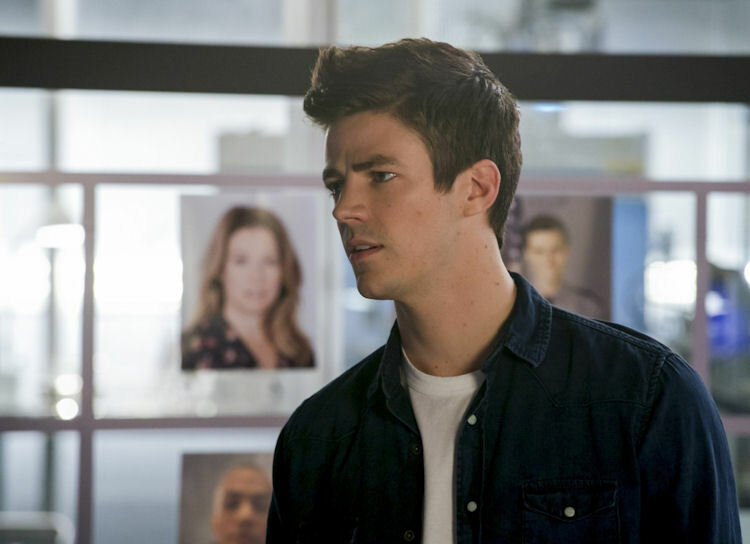 He is who he is, and at least Team Flash has elevated him to “not total dirtbag.” The writers have really painted themselves into a corner, and it centers on the fact they haven’t found a way to make DeVoe compelling. We still don’t know what DeVoe’s endgame is when he finally absorbs all these powers. It’s either going to be mind-blowing or totally lame, and with the way this season has unfolded, my money is on the second choice.